We are excited to offer a challenging PhD research position in the area of programming paradigms for the Quantum Internet. Today’s Internet is based on the exchange of classical bits. The key idea of the Quantum Internet is to extend this classical Internet with quantum communication, which is based on the exchange of quantum bits (qubits). A quantum internet offers a number of important (networking) applications, including defense against eavesdroppers (also if they own a quantum computer), clock synchronization, distributed consensus, and secure identification. These applications are based on fundamental properties of qubits, which unlike regular bits can be in a superposition of 0 and 1 at the same time. Qubits cannot be copied, and any attempt to read the state of a qubit can be detected. Furthermore, two qubits can be entangled, which forms the basis for ‘teleporting’ shared (quantum) state across devices, which in turn is a key ingredient of many quantum communication applications. One of the key aspects of quantum communication it the creation of quantum entanglement, which has no classical analogue. Furthermore, error rates increase with distance, making long distance communication substantially harder. These differences and challenges fundamentally affect the way in which quantum internet applications are to be developed. In this project, we take a full stack perspective on Quantum Internet applications. Starting from developers who would like to create Quantum Internet applications, we aim to design, implement, and evaluate a series of (layered) abstractions that expose or hide key quantum communication characteristics. These abstractions will in particular deal with managing (series of) entangled qubits across nodes. Due to the complex physical setting, naive abstractions would be leaky, requiring knowledge about details and limitations of its underlying implementation that should in fact be hidden away. The candidate we are looking for has a strong background in computer science, combined with an interest in multi-disciplinary research, physics, and telecommunication. Relevant background expertise includes distributed systems, software architecture, design patterns, REST, and systems programming. Candidates have a passion for software development, a hands-on attitude, and a desire to experiment with different alternative designs. The project takes place at QuTech, one of the world’s leading institutes for research in quantum computing, in collaboration with the TU Delft faculty of Electrical Engineering, Mathematics and Computer Science (EEMCS). 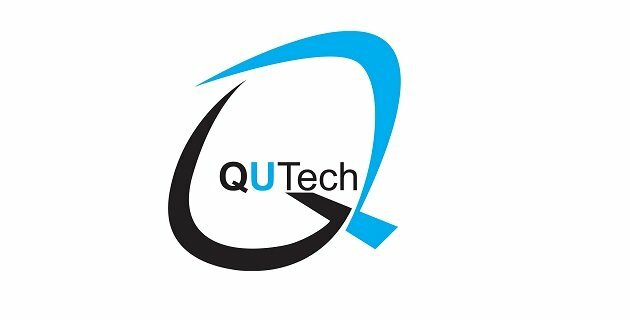 QuTech pursues a concerted effort in order to realize a Quantum Internet joining both software and hardware development. This includes the realization of real world quantum networks on which the software is expected to run. The candidate will be a member of the interdisciplinary Quantum Internet team at QuTech. Therefore, candidates are required to be team players, with excellent social and communication skills. The project will be conducted under the supervision of prof. dr. Stephanie Wehner (quantum networking and software) and prof. dr. Arie van Deursen (software engineering). All TU Delft PhD candidates are enrolled in the TU Delft Graduate School which provides Doctoral Education Programme aimed at developing your transferable, discipline-related and research skills. The position is located at QuTech, Delft University of Technology, a world leading institute in quantum technologies. You will join the Quantum Internet Roadmap. To apply please use the form below. For questions email theoryPhD AT/ qutech * nl. A master degree is required to commence PhD study in the Netherlands. If you do not yet have a master degree, QuTech Academy provides education in quantum technologies for master students in computer science, electrical engineering or applied physics at Delft University of Technology with a year of courses, followed by the possibility of a one year research project at QuTech leading to a masters thesis.